A dressing retention sheet to cover primary dressing and wound area. 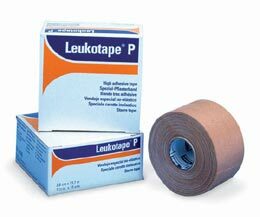 Use in conjunction with Luekotape for McConnell taping available in 2" 4" and 6" widths x 10yd. A tan colored rayon woven strapping tape. used in conjunction with jayshield for McConnell taping. 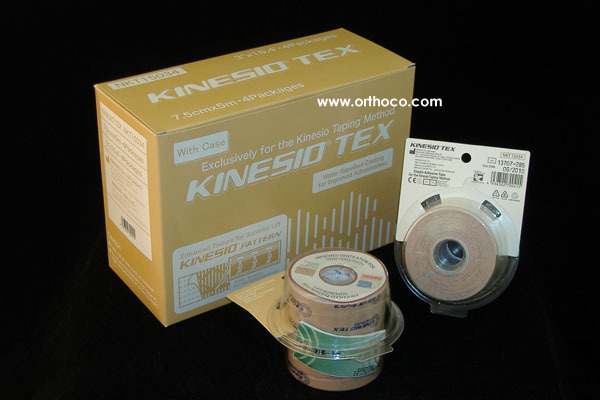 Kinesio Tex Gold tape in a bulk roll 2" x 102ft per box. 1.5 x 15yd available by the roll or by the case (30) rolls. 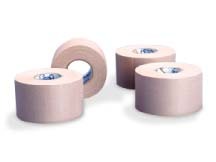 Heavy duty strapping tape ideal for patellofemoral taping. aggressive hypo allergenic adhesive. Used with Mconnell taping.